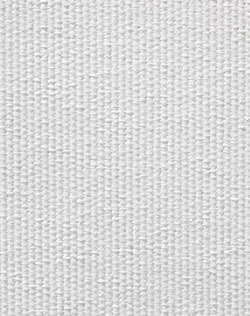 Polyester/Cotton Blend Canvas: These general purpose canvas types offer greater dimensional stability and regularity than traditional 100% cotton blends. 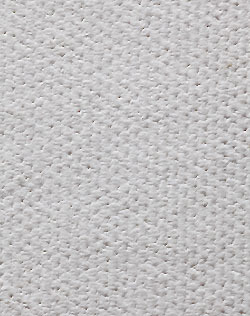 Cotton/Polyester canvas is far less likely to slacken on the frame over time and does not grow or shrink when printed. 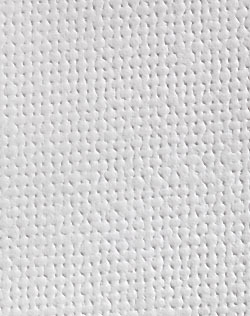 All GMS cotton/polyester products are archival with acid free coatings and water resistant surfaces. They suit dye, pigment and eco-solvent inks. This is the default canvas media. 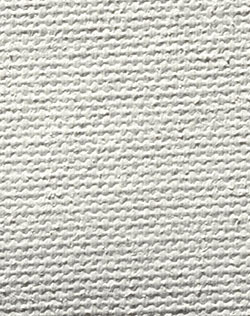 100% Cotton Canvas: Authentic artist canvas featuring a subtle feel and random texture for greater perceived value. 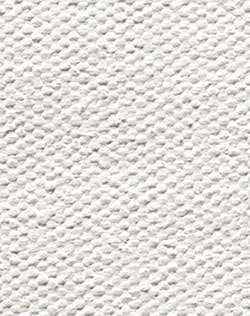 This canvas type is available in both a bright white for the reproduction of photographs or a natural white version for the reproduction of fine art. Modern 100% cotton products are made from seedless cotton canvas and are compliant enough to be finger stretched over wooden frames. InkjetPro cotton canvas types (excluding Commercial Edition) have been fade tested with pigment inks and achieved light stability of greater than 80 years. All InkjetPro 100% cotton products are archival with acid free coatings and water resistant surfaces. They suit both dye and pigment inks. 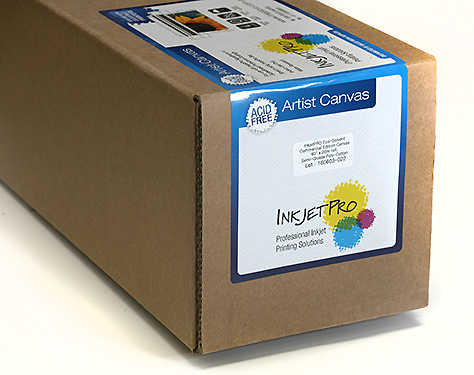 InkjetPro Commercial Edition is a new 100% cotton canvas type for the bulk photo printing industry that has a life in excess of 50 years but a brighter more cotton/polyester ‘like’ surface. Synthetic Canvas: These are 100% woven polyester types with high water resistance and can be used as flags externally. Originally used as signage, the InkjetPro types have been upgraded for photography and have much better colour imaging than the signage types with higher white points. 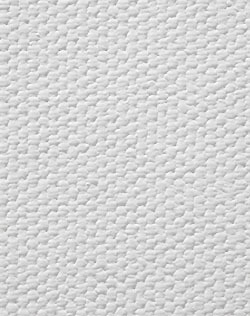 As synthetic canvas rolls are longer than cotton or blend types, this is the cheapest form of canvas printing. 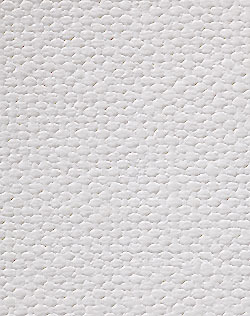 Solvent Canvas: Used on common Eco Solvent inked machines these canvas types are pre glossy. When matt canvas is required for the use by Eco Solvent machines, InkjetPro Premium Edition for Aqueous inks can be used and liquid laminated in the normal manner.